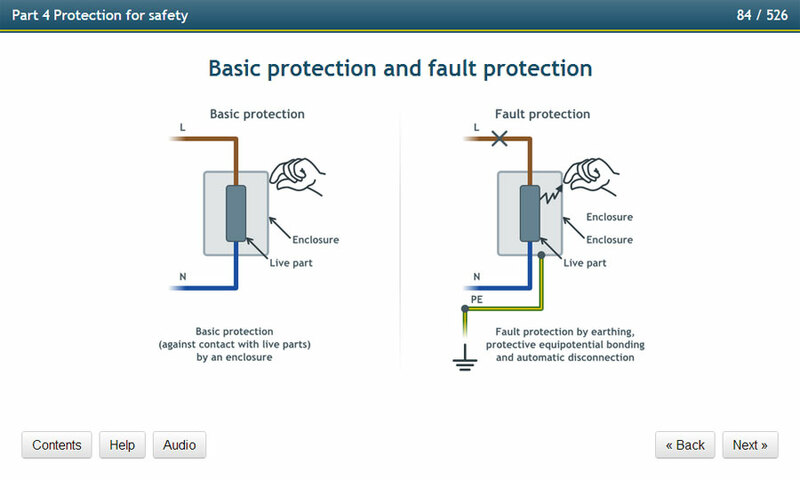 Take our interactive 17th Edition course online. Study from home at your own pace to achieve a City & Guilds 2382-12 qualification. Low prices, Book Now! 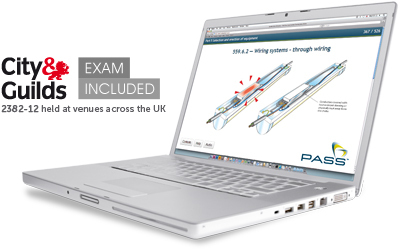 To ensure you continue working and don’t have to take valuable time off work to complete essential training courses, PASS have developed an interactive Online 17th Edition Course which can be taken entirely at your own pace from the comfort of your own home. We understand that it can be difficult to take time off work for training when it means losing money, so have developed an online version of the 2382-12 17th Edition course as a solution to your problems. 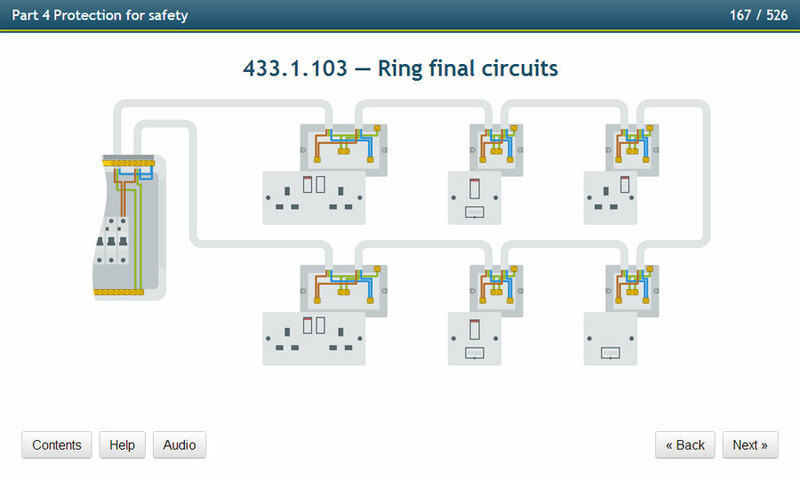 The course is fully interactive and takes you through the BS7671 course programme incorporating amendment one and the required guided learning hours needed to achieve this qualification, a feature that courses from other providers do not have. By completing this course and passing the exam you will achieve a City and Guilds 2382-12 course qualification. Over 98% of people who sit this course pass their exam first time! You can book your course at trainingcourse.com. Licenses to the online course expire 6 months from purchase; we recommend completing your City & Guilds 2382-12 exam within this time period. Click on a thumbnail to see the full size screenshot. The content of the 17th Edition online course covers the training specified in the 2382-12 course and also incorporates all the new features of amendment one. As part of the training programme, learners will cover all aspects of the previous 17th Edition alongside the new sections covered in Amendment one. This means that the course will teach to the current 17th Edition standard and allows successful learners to work to this level. 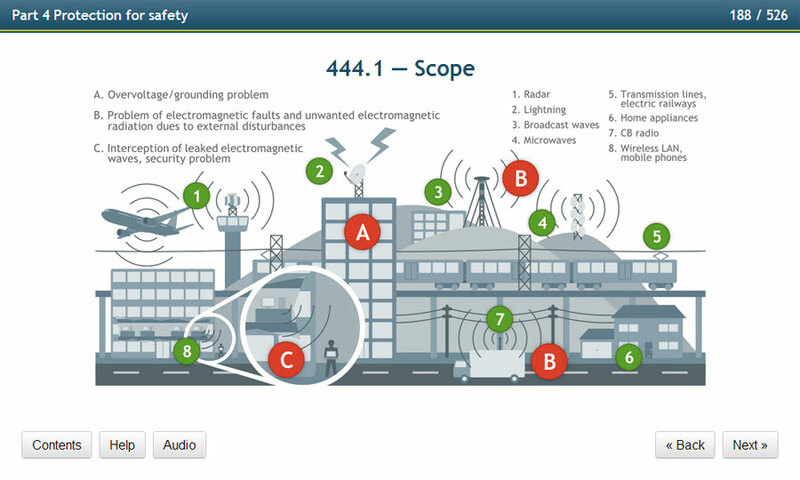 New Section 444 – Measures against Electromagnetic disturbances:Any equipment such as lifts, transformers and fluorescent lighting can cause electromagnetic disturbances and this interference can damage IT equipment, components and circuits. 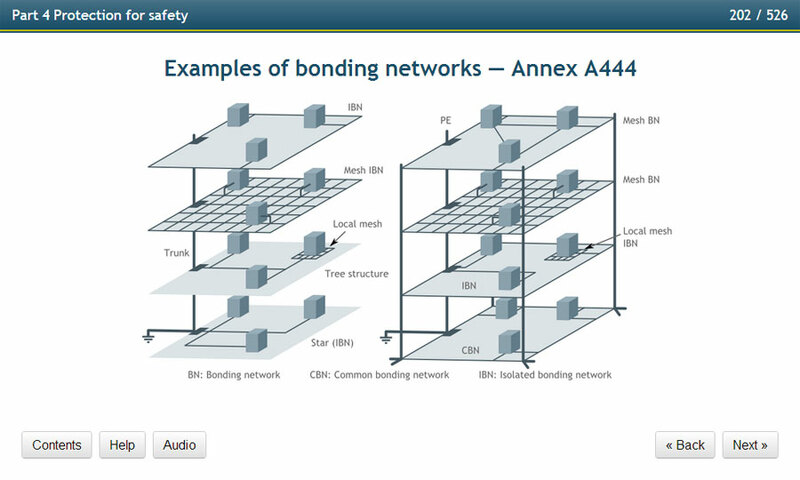 This new section suggests recommendations to avoid and reduce electromagnetic disturbances. 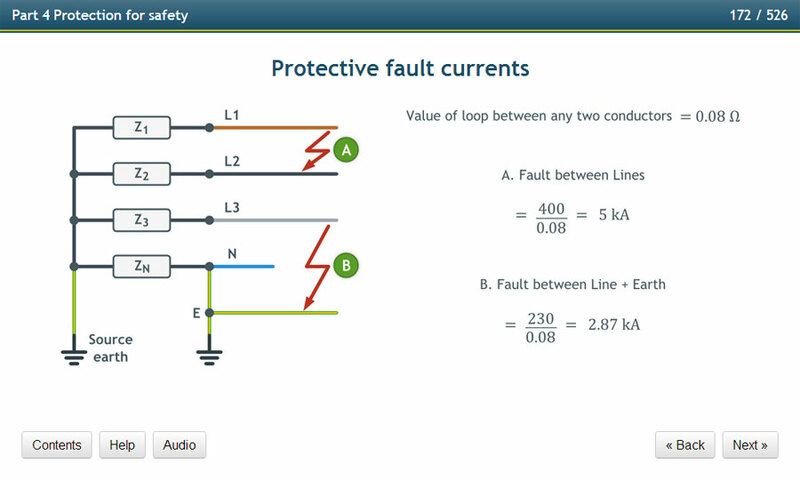 New Section 534 – Devices for protection against overvoltage (surge protection): Transient voltages can have a peak value of 6kV. 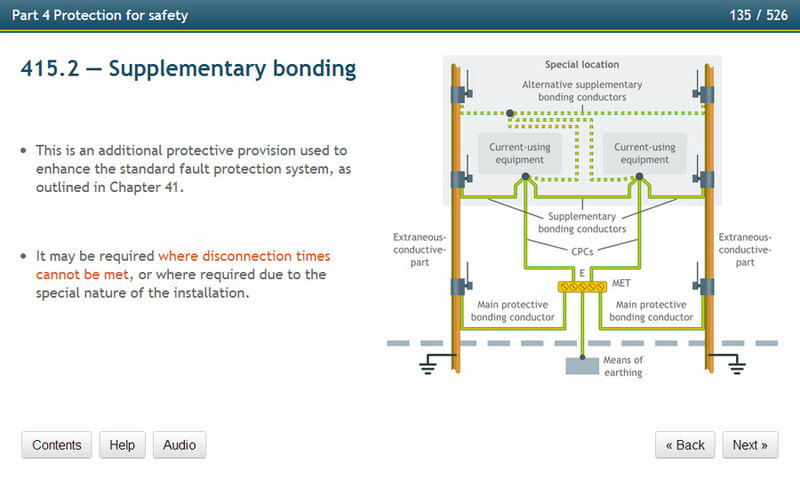 Lightning strike and electrical switching can give transient overvoltages to installations. 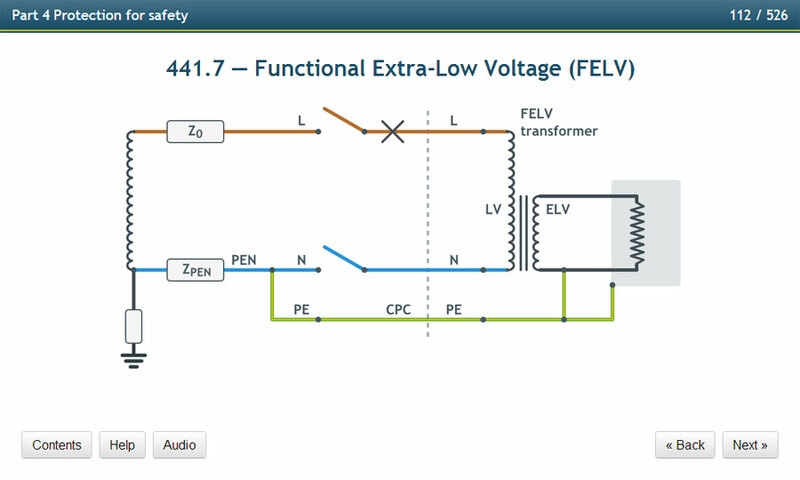 This new section requires the installation of SPDs to limit transient overvoltages and divert surge current away from sensitive equipment. New Section 710 – Medical locations: Strict measures are needed to ensure the safety of medical patients especially where they are likely to be subjected to the application of medical electrical equipment. New Section 729 – Operating or maintenance gangways: Regulation 15 of the Electricity at Work Act requires working space, access and lighting to be correctly and adequately provided where work is being carried out. This new section includes requirements for gangway width, access, emergency access and emergency evacuation. 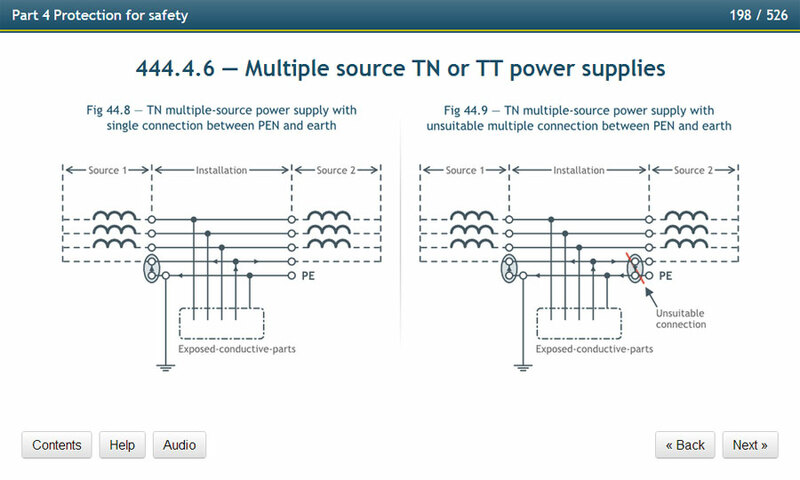 Appendix Six – Model forms for certification and reporting: Periodic inspection and testing is required because electrical installations can deteriorate over time. As legislation states that electrical installations should be maintained, periodic inspection and testing of installations is required. Upon reaching the end of the online course there is also a realistic 60 question multiple choice exam based on past City and Guilds questions. The questions are rotated so that you can take the exam multiple times to be confident that when you sit the exam with us for real you’ll have had the preparation you need to pass the 2382-12. 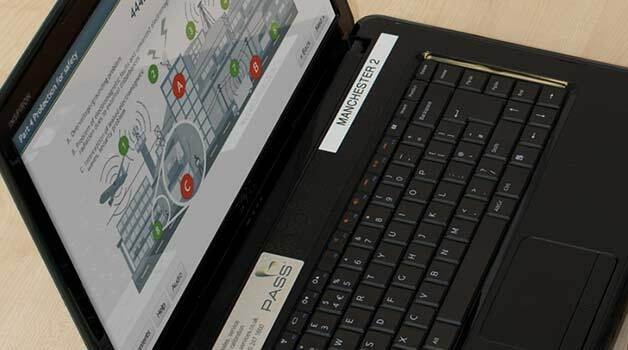 Assessment for this course takes the form of a two hour examination which can be booked as a single exam at any of our exam only training centres located across the UK. The price of the online course includes the 2382-12 exam and City and Guilds registration, so you just need to find a location close to you at a date to suit you. See the Exam Only Course pages for further information on your nearest centre. Those successfully passing the online course and exam will receive a 17th Edition 2382-12 Amendment One course qualification. 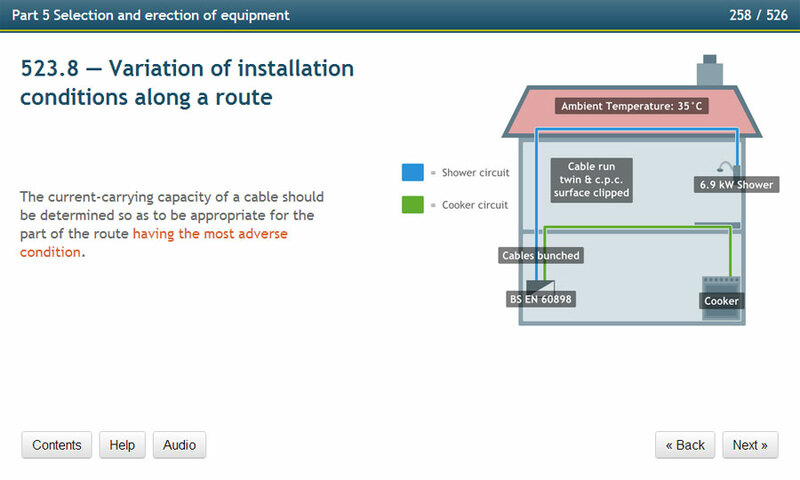 The price of the 2382-12 Online is £299.00 (£358.80 inc VAT) and Includes the City and Guilds Exam. To give you added peace of mind we also offer a 7 day money back guarantee. If you are not entirely happy we’ll refund you the full purchase price of the course as long as you have not booked the exam. 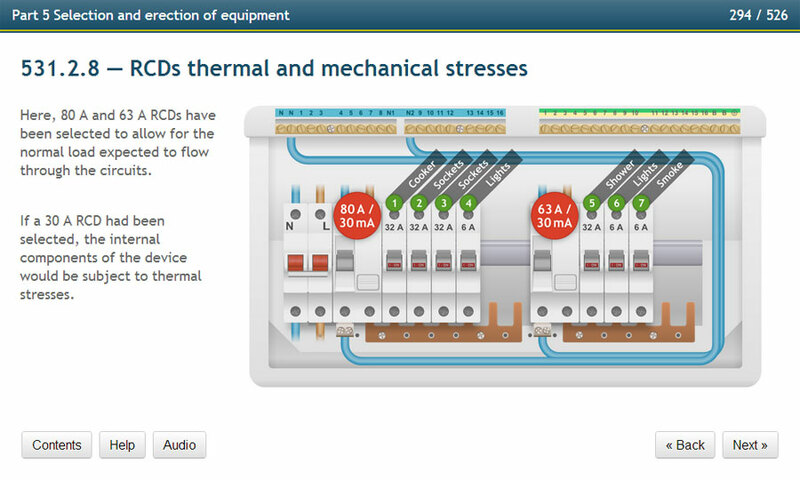 17th edition online courses are provided by our partner site and you can book online or call 0845 365 39 45. Once you have enrolled on the course and completed it simply contact us on 0845 365 39 45 and we will arrange for the exam at one of our locations across the UK. Those most suited to the interactive online version of the 17th Edition qualification include those who are too busy to take time off to attend a regular training course and those who prefer to learn in the comfort of their own environment. Anyone who wants to gain a 17th Edition amendment one qualification should either already work in an environment which requires 17th Edition or want to. 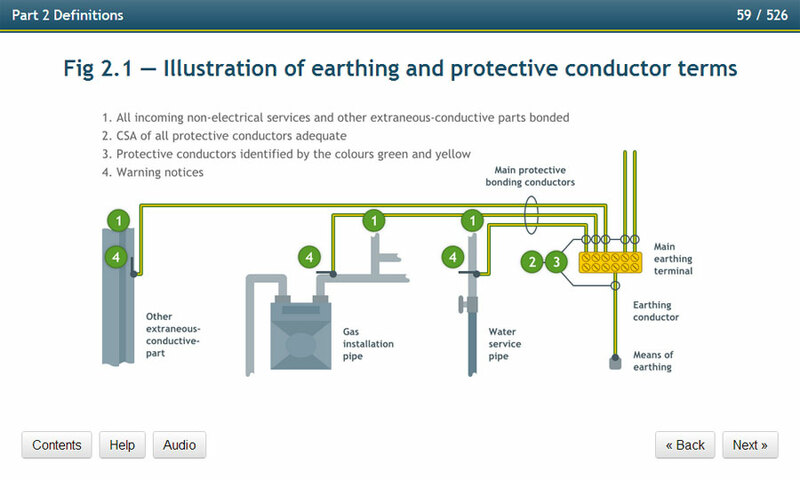 As 17th Edition is the standard qualification for most types of electrical work, it is a required qualification for anyone carrying out work of this nature. Those successfully passing the course and exam will be able to move on to study further electrical qualifications if desired. Anyone wanting to study the 17th Edition online course must have an interest in the subject. 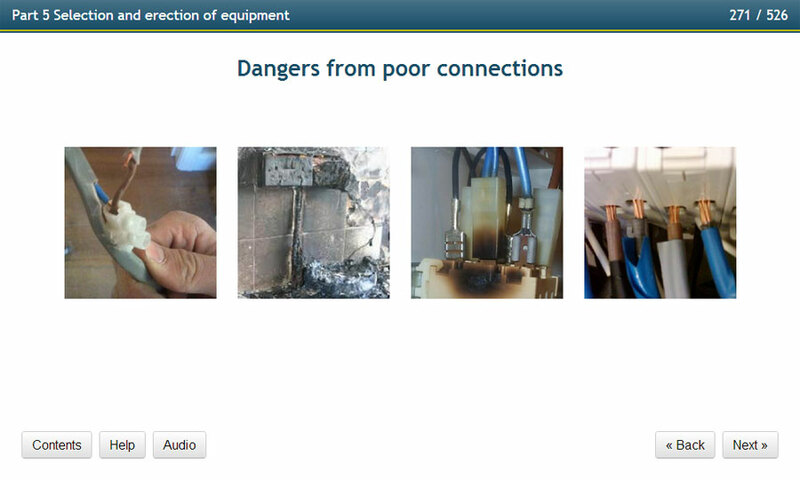 Learners will find that any prior electrical qualifications will help them during the study of this course qualification. Onsite guide which you will need for the exam as well.